How old do I have to be to start driving a car? You can start learning to drive at 17. How do I apply for a provisional licence? Complete driving licence application form D1 and photo card application form D750 (available from most post offices). 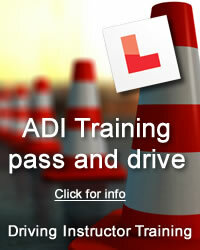 Can I start driving lessons before I have passed my theory test? Yes, I would recommend you have a few lessons prior to applying for the theory test. The practical driving experience will help make more sense and we can assist in your study for the exam. Do you charge more for weekends and evenings? No. we charge the same for those times. Can I do more than a one hour driving lesson? Yes, most pupils find it more beneficial to do a 2 hour lesson.